Jeff Borgese's Los Gatos High School football coach was ailing and Borgese helped get him a title, according to The San Jose Mercury News. Borgese's coach Charlie Wedemeyer had ALS. He couldn't speak, but still coached from the sidelines, The Mercury News wrote. Los Gatos won the section title game by a score of 14 to 12. Borgese scored both touchdowns, The AP wrote. He also preserved the win by personally blocking what would have been the game-winning field goal, The Mercury News wrote. Borgese went on from Los Gatos to play his other sport, baseball, in college and in the pros. His pro career, though, was brief. He played a single season. 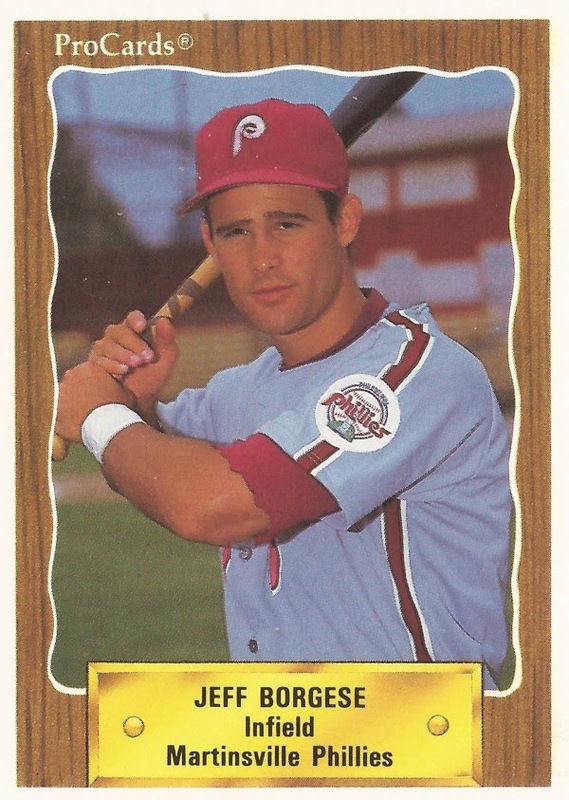 Borgese's professional career started and ended in 1990, taken by the Phillies in the 40th round of the draft out of Fresno State University. At Fresno State, Borgese hit a home run in an April 1990 loss. He hit 10 home runs on the year. Borgese played with the Phillies at rookie Martinsville. He spent the 1990 season there, hitting .300 in 51 games. He also hit two home runs and knocked in 28. It was his only season as a pro. Years later, in 2007, Borgese was inducted into the Los Gatos High School Hall of Fame. His football coach Wedemeyer continued teaching and coaching at Los Gatos, even as his disease progressed. Wedemeyer passed away in 2010 at the age of 64.